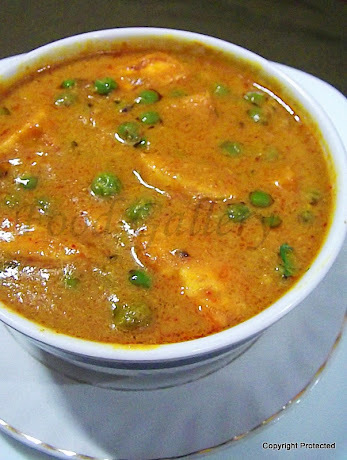 Matar Paneer/Mutter paneer - an irresistible creamy curry prepared with paneer/Indian cottage cheese and peas. The malai and cashews lend a beautiful creamy texture to the gravy. 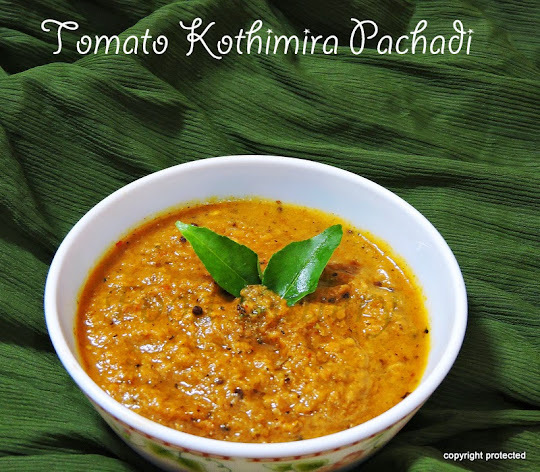 It is a fantastic, mouthwatering side dish that goes very well with rotis, parathas, naan and any pulao. Try this extremely popular Punjabi dish and am sure it will become your favorite too. Grind all the ingredients under "To Grind" section to a fine paste and set aside. Heat ghee in a kadai and saute the paneer cubes till they turn light brown. Heat oil in the same kadai and add cumin seeds. Once they start spluttering, add the masala paste and fry for a few minutes on medium flame till the oil separates and you get a good aroma. Add turmeric, dhaniya, red chilli powders and mix well. Then add peas and salt and mix well and add about 2-1/2 cups of water and let it cook on medium flame till the peas become soft. Add malai, kasuri methi, garam masala powder and paneer cubes, mix well and let it cook for another 3-4 minutes and remove from fire. Serve hot with rotis, parathas, rice or any pulao. 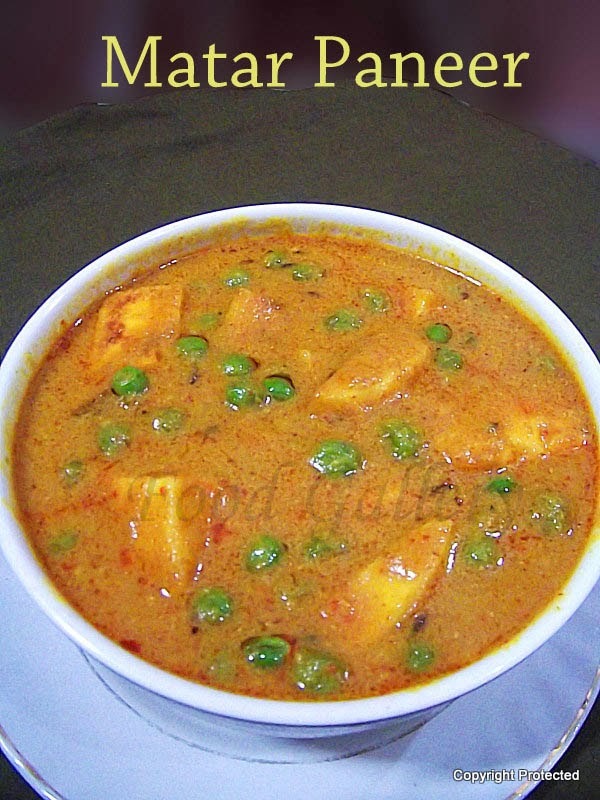 mattar paneer looks so awesome!! Drooling pics! !